at 29 George Street, Aurora. The development was completed in 2017. Abelie x Aurora has a total of 12 units. Sizes range from 787 to 1543 square feet. 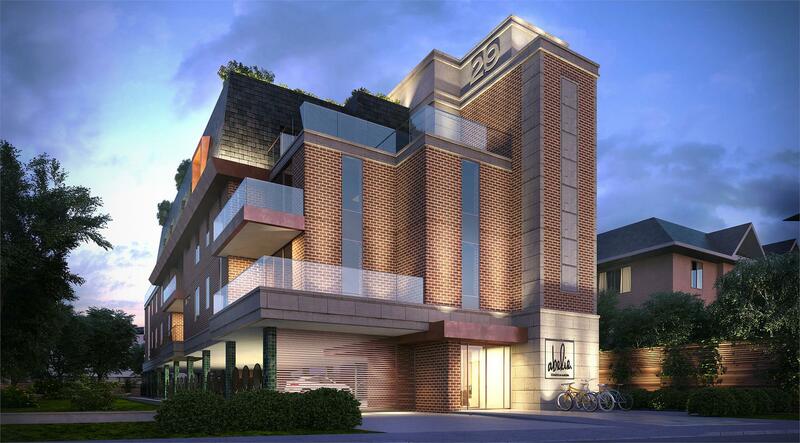 Abelie is Aurora's finest boutique condominium. Situated on a quiet suburban street within walking distance to Aurora's downtown, entertainment district and transit, it'll be easy for you to live, work and play in the luxury of your new home. Striking, but unobtrusive. Opulent, but not ostentatious. Abelie is a seamless addition to the neighbourhood. The lobby has a white-glove welcome that's all-new to Aurora. You'll arrive to your home through a contemporary reimagination of the traditional. 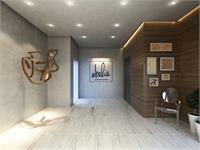 Greet your guests in this chic entrance and forget about waiting in line for the elevator, because Abelie's boutique size makes life more convenient. 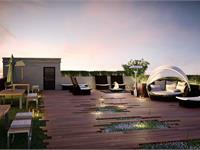 Abelie’s designer-decorated rooftop garden is available to all residents as amenity space—one-of-a-kind in Aurora. Take in some sunlight or look over the tree-lined suburbs and enjoy the outdoors moments away from your new home. Abelie’s luxurious custom kitchens are optimized for efficiency and come in three designer-selected styles: traditional, transitional and contemporary. Standard granite/quartz countertops and standard Miele appliances in each kitchen (fridge, dishwasher, flat-top range and oven). Smeg accent appliances sold separately. Your inquiry will be delivered to the developer / builder of Abelie x Aurora, who will send you more information about this development.